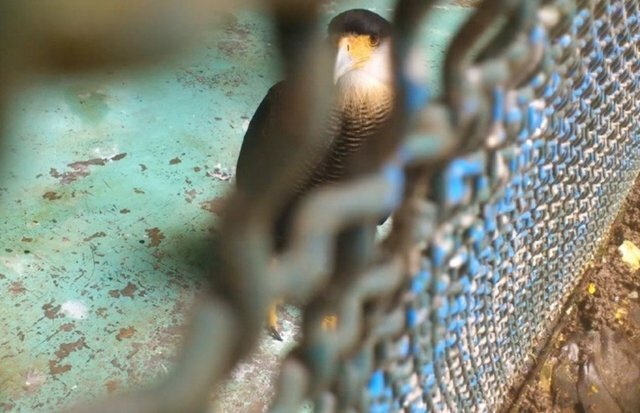 A public zoo in the city of Taboão da Serra, outside of Sao Paulo, Brazil is currently on security lockdown after dozens of protesters - concerned with a growing number of animal deaths there - threatened to storm the facility and release its captive wildlife. Animal rights activists called for the demonstration following the recent deaths of two lions and tiger on the grounds of the park, incidents which protesters sat resulted from starvation, neglect, and shockingly squalid conditions there. Video taken at the zoo reveals animals kept in dank concrete cells behind rusting wire fencing, stagnant alligator pools, and shadeless enclosures. "We want to close down this park and rescue the animals to take to a decent location." It is believed that some of the demonstrators are from the same group of activists which raided a drug laboratory in Sao Paulo last October, successfully freeing 178 beagles which had been subjected to brutal forms of animal testing. Officials closed down the zoo to the public, stationing police both inside and outside to keep the protesters from entering.